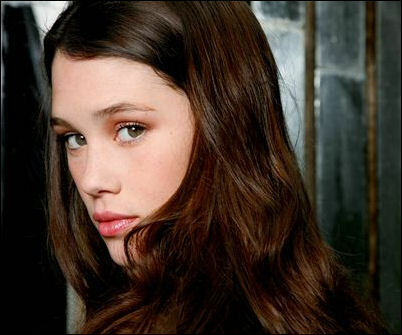 Jerry Bruckheimer and director Rob Marshall have cast French actress Astrid Berges-Frisbey to play Syrena, a beautiful and alluring young mermaid in the fourth Pirates of the Caribbean movie with Johnny Depp reprising his role of Captain Jack Sparrow. Berges-Frisbey was born in Barcelona of French-American and Catalan parentage and is now based in Paris. The young star has appeared in such French films as La Fille du Puisatier, Bruc, Extase, La Premiere Etoile, and Un Barrage Contre le Pacifique, and in the telefilms La Reine Morte, Elles et Moi, Divine Emilie and Sur le Fil. She has also performed on stage at the Theatre Marigny in a production of Peter Shaffer’s Equus. Pirates of the Caribbean: On Stranger Tides will begin filming in June entirely on location in Hawaii, Great Britain and Los Angeles. The first three films in the Pirates of the Caribbean series made a total international box office of $2.7 billion. “Pirates of the Caribbean: On Stranger Tides” is a Walt Disney Pictures/Jerry Bruckheimer Films and is scheduled to open on May 20, 2011.